I expected modest living conditions in Shimoni, knowing that it is a small village with extreme poverty. What I didn’t anticipate was that the schools would be so basic as well. There are three schools in Shimoni. A public primary/secondary school, a private Christian primary, and a private Muslim primary. We teach classes in all the schools, which adds wonderful diversity to teaching. The first school I visited was the private Christian school, which is also the most expensive school in Shimoni. The school was literally a shack by our standards with nothing in it but a old chalkboard and desks. The students sat three people to a desk and they were so crammed into the room that they literally had to climb over each other. I soon learned that the main reason this was the “nicest” school was because it had proper walls, which means you don’t have to shout to be heard over the other classes. The children have nothing but a notebook to write in (sometimes forced to share due to lack of $) and one extremely outdated and AWFUL text book. This sounds like a teacher’s worst nightmare, but in fact it was really challenging and fun to teach with literally nothing. There are not computers, copiers, smartboards, or even projectors. If we wanted to give the class a handout, we had to actually write a copy for each person. It meant we had to get creative on many occasions. 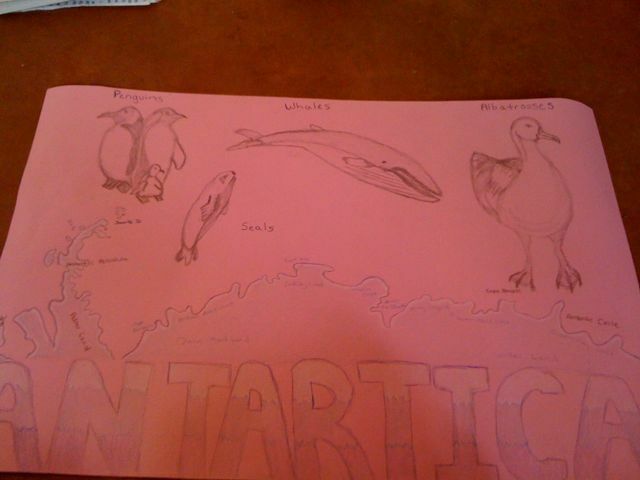 I somehow got dubbed an “artist” among the staff, and I ended up drawing a map of Antartica and Asia, along with images of the regional animals for those continents. It’s really the only way they can ever have a world map. 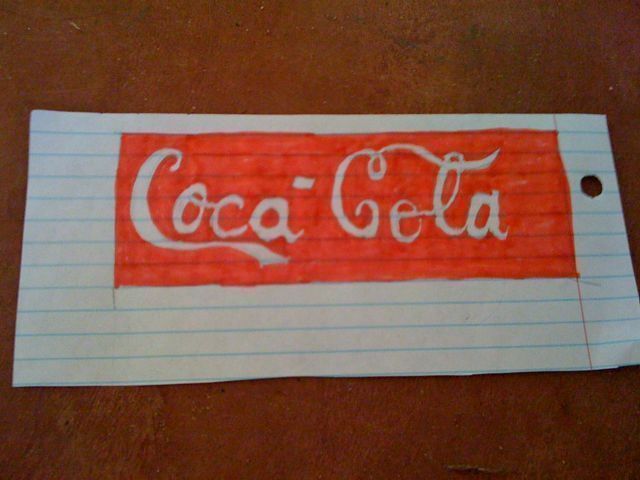 When we taught about logos, we didn’t have any actual logos to take in. Although Coca Cola is everywhere in Kenya, it’s all glass bottles so there is no removeable logos. So I started drawing. It was frustrating at times not having any resources, but really rewarding at others. It meant we had to rely on all of our individual talents and find a way to collectively pull them. I learned a lot in Kenya, but one of the most impactful lessons was how much you can do with a little bit of imagination and a piece of chalk. Your high school art teacher would be saying, see, I told you she was an artist! You definitely are an artist! Did you inherit that talent from Bonnie? No, definitely not that good! 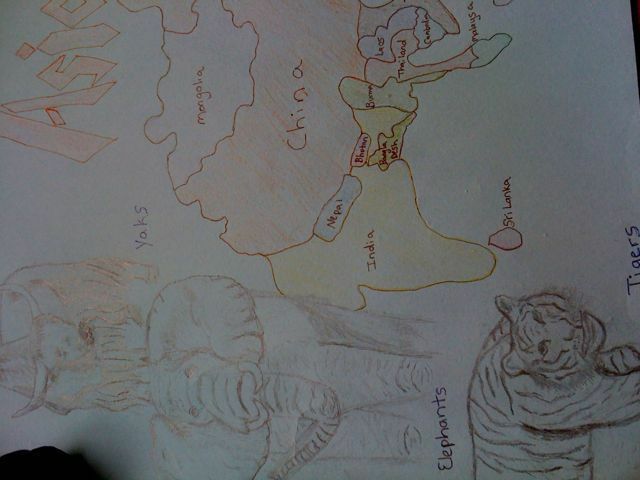 But I did use to draw with my dad quite a bit. He’s actually pretty good himself!